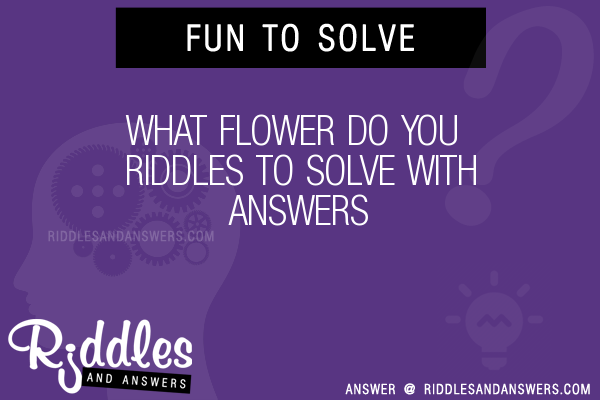 Here we've provide a compiled a list of the best what flower do you puzzles and riddles to solve we could find. The results compiled are acquired by taking your search "what flower do you" and breaking it down to search through our database for relevant content. Flowers in bloom, and rain showers I bring. 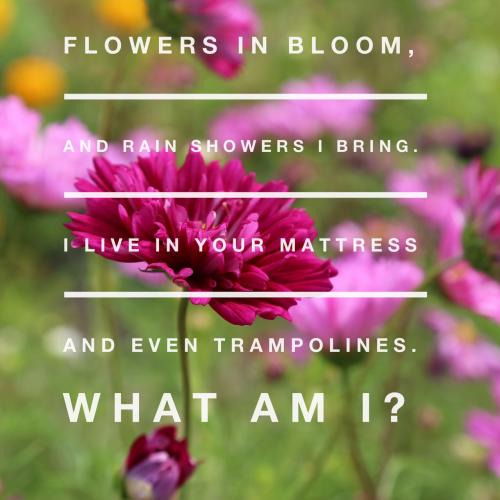 I live in your mattress and even trampolines. What am I? 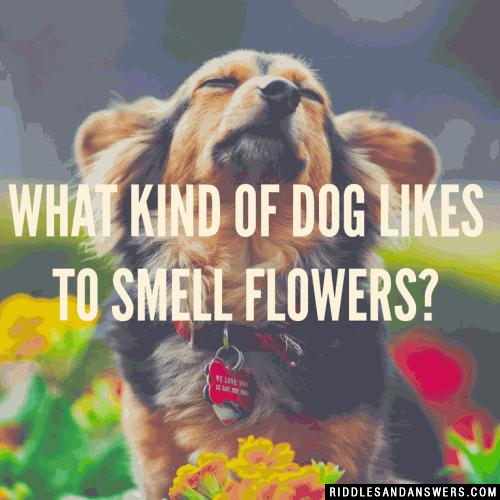 What kind of dog likes to smell flowers? 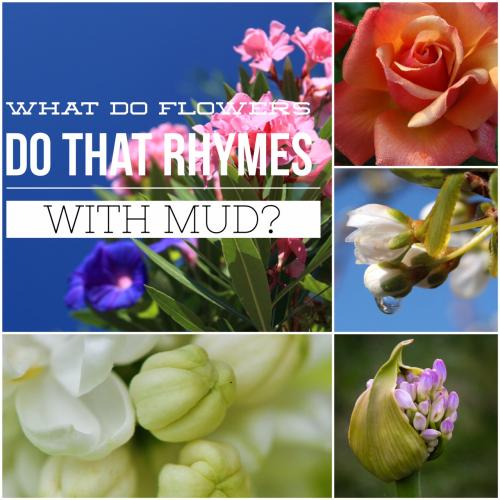 What do flowers do that rhymes with mud? I am a spring flower that rhymes with hill, if you know my name, tell me you will. 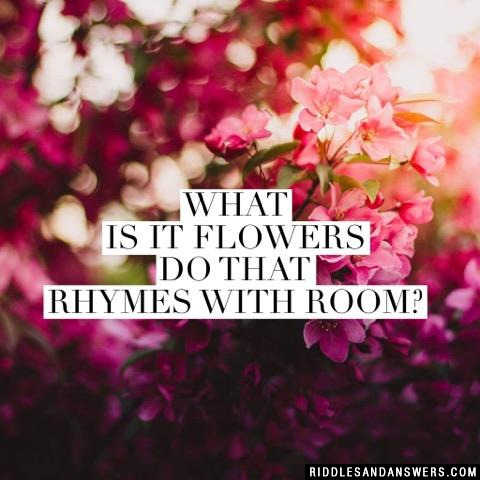 What is it flowers do that rhymes with room? What kind of flower grows on your face? 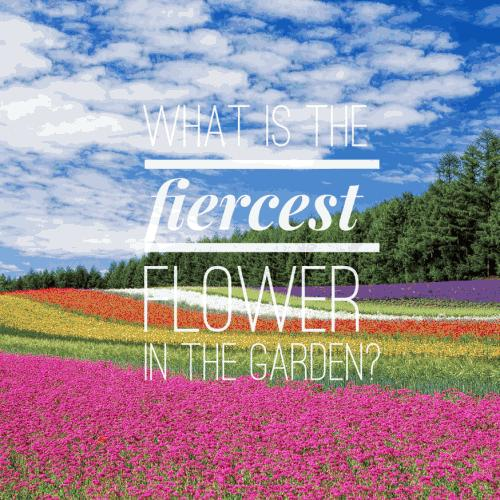 What is the fiercest flower in the garden? What do you get if you cross a bike and a flower? What flowers grow on faces? Why is the letter A like a flower? A bee (B) comes after it!